Syndicated property investment – projected net rental yield of 7.8% p.a. 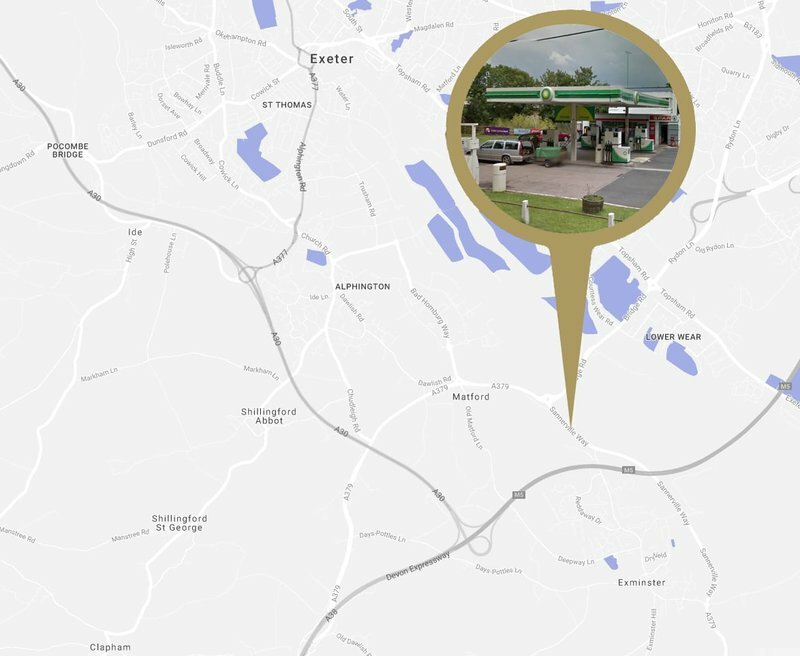 We are highlighting an exciting opportunity to participate in the acquisition of a freehold convenience store and BP-branded petrol filling station in Matford, Exeter for £1,475,000. It is located close to junction 31 of the M5 and there is a 20-year tenancy agreement in place with the operator who has a 5A1 Dun & Bradstreet credit rating (the combination of highest financial strength and lowest risk). To drive investor returns the acquisition will be part-funded by debt – limited to 50% of the purchase price. A significant amount of the equity funding has already been secured, with just £400,000 left to fill, which is the amount of the offer. The offer will close Monday 14 November 2016. Projected net rental yield is 7.8% p.a. and an annual IRR of 9.96% (variable and not guaranteed). Important: this investment is a property syndicate and is not regulated by the Financial Conduct Authority. Capital is at risk. To request your priority application pack please contact us on 0117 929 0511 or email us.